So now that we are in September, school is in session, I feel like Fall is coming. 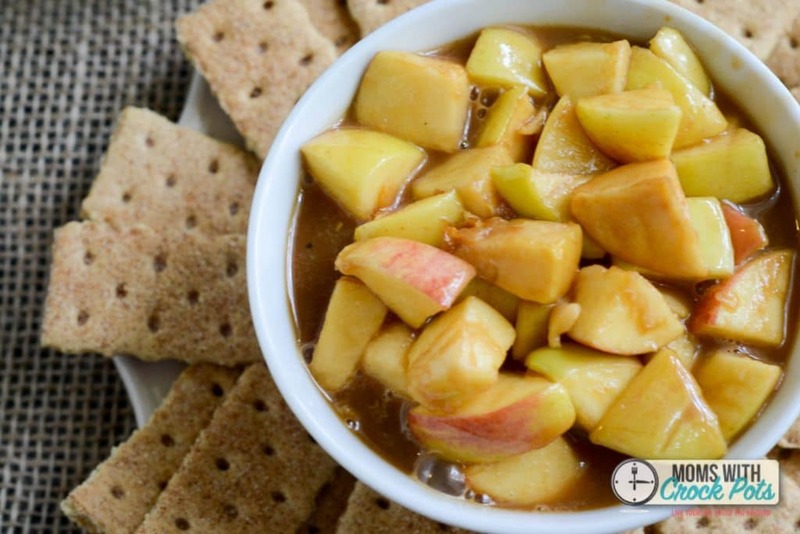 Time to pull out the crockpot for those busy nights so you can get dinner on the table for the family, but it’s also time to pull out your small crockpot for fun yummy desserts like this Crockpot Caramel Apple Pie Dip! This is so crazy easy to make and the end result is so worth it. 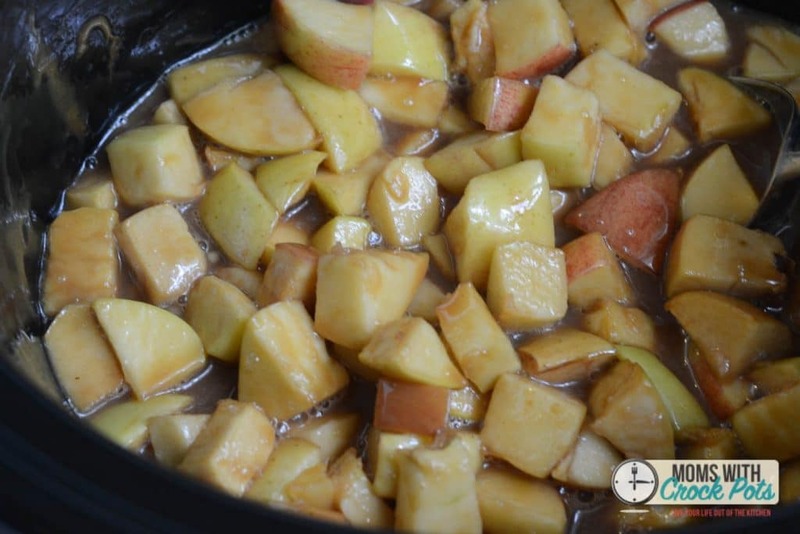 Fill your crockpot with diced apples, a bit of cinnamon sugar, and 1 jar of caramel topping. 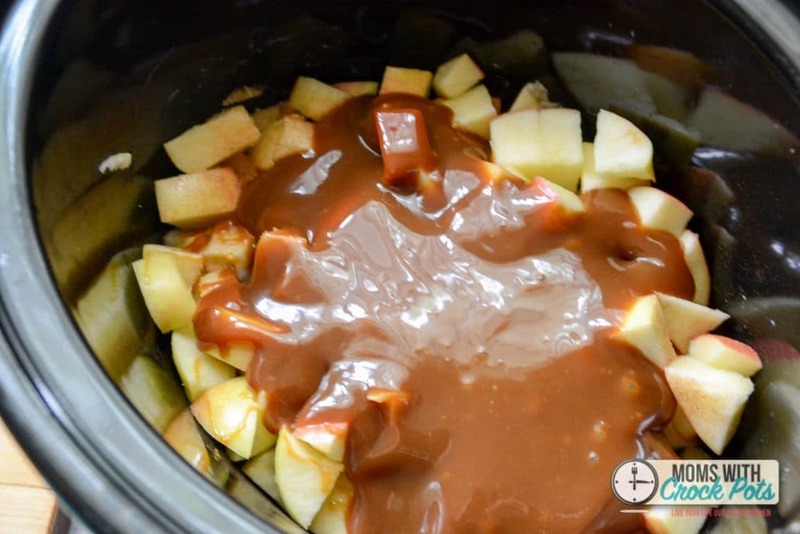 You can even use this Crockpot Caramel Apple Dip instead of the jarred caramel topping. Either way this stuff is out of this world! I used my smallest crockpot which happens to be about 4 qt. I really need to get a smaller one. Cover and cook on LOW for 4 hours. I chose to leave the peels on my apples. You can peel your apples. It’s really up to you. 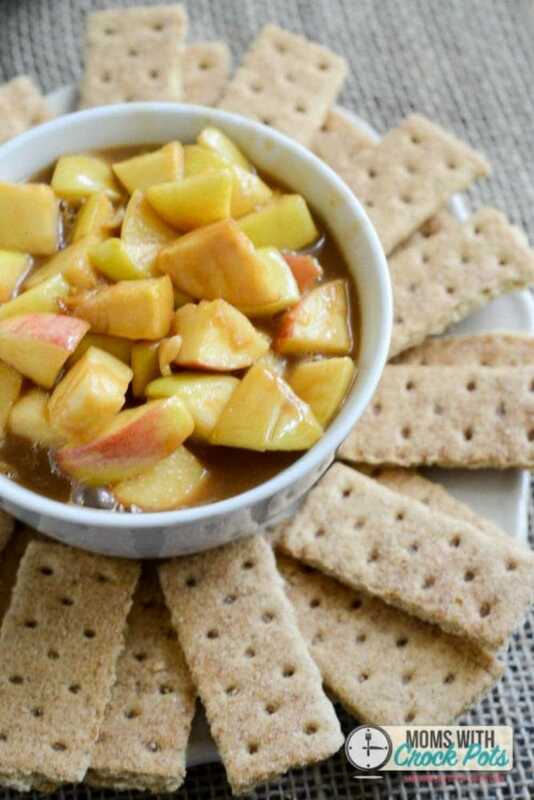 Serve with cinnamon graham crackers or cinnamon pita chips. Perfect for a cozy family dinner or game night. Wash, core and dice apples and place in the bottom of a small 3 or 4 quart crockpot. 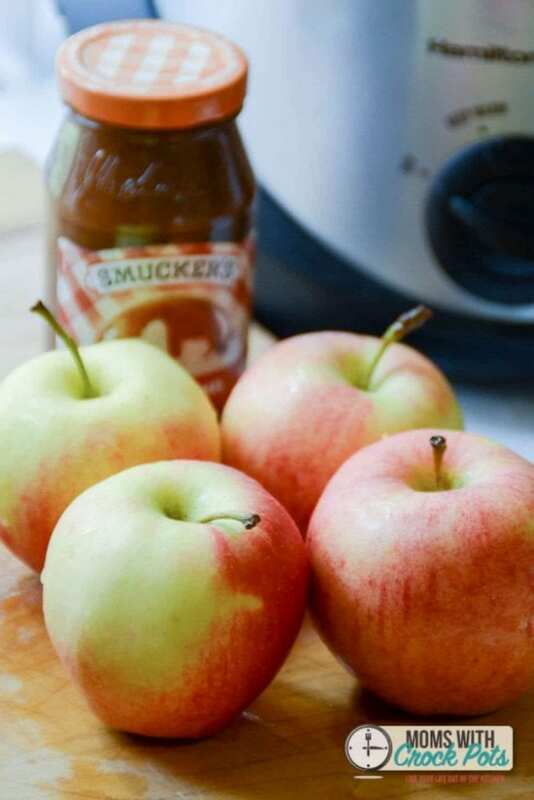 Toss apples with cinnamon and pour caramel sauce over apples and stir. Serve with cinnamon graham crackers, cinnamon pita chips, or whatever floats your boat.